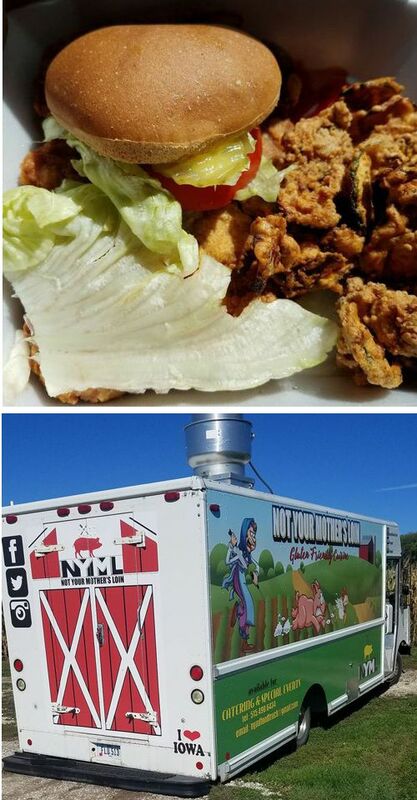 Featured vendors for the next-to-last week of Beaverdale Farmers Market are Yer’s Veggies and popular gluten free options from Not Your Mother’s Loin food truck. NYML menu includes vegetarian options and items such as tenderloins, french fries and chicken tenders that even people with severe gluten allergies can enjoy. Yer’s Veggies bring fresh produce of both usual and unusual varieties to the market. Eggplant, fingerling and regular potatoes, peppers, radishes and beans are found at Yer’s stand, on the north side of Urbandale Avenue. The Jeffrey Scott Band provides entertainment in the music tent this week. The duo keyboard player and guitarist play selections that are great background for social gatherings.